Decorative round tack has a floral swirl pattern and a rope edge border. 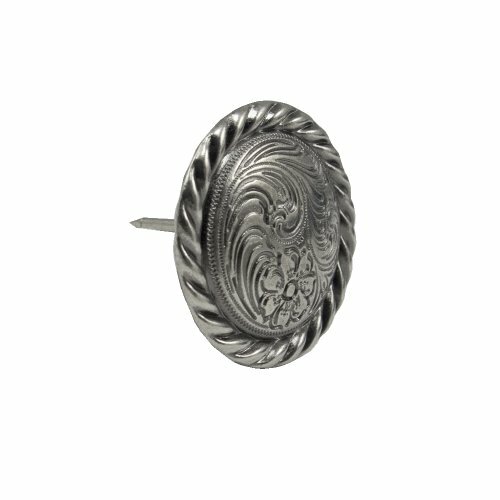 Similar to conchos of this same style, this tack will now duplicate that fashion in your decorating projects. Finished in Old Silver it measures 1" across and the nail shaft is 3/4" in length. If you have any questions about this product by Springfield Leather Company, contact us by completing and submitting the form below. If you are looking for a specif part number, please include it with your message.